Former South African cricketer who set the record for most Test dismissals by a wicket-keeper, retiring with 521. 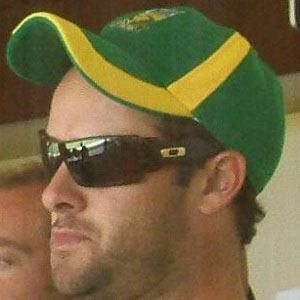 He was named South African Cricketer of the year in 1998, 2000, and 2006. He made his first class debut in 1995 for Border. In 2012, he was struck in the eye by a ball in a warm-up game, which ultimately forced him to retire. He was born in East London, Cape Province, South Africa. He ended his career with more than 100 more Test dismissals then the next-closest wicket-keeper, Adam Gilchrist.